He let Teddy take him to the woman, who was tall and slender, and wore jeans and a red T-shirt. When she saw him coming, she lifted her sunglasses and perched them on her head. In her other hand, she held a giant-size Bean Grinder to-go cup. Zeke pulled on Teddy’s leash to stop him from circling the visitor and wrapping the leash around her legs. “What do you think?” Why had he asked that? Just to keep her from walking away? “Right now, I’m thinking your dog is using his nose to learn all about me and where I’ve been this morning.” Her smile grew bigger as she stared at Teddy. “I figured that out,” Zeke said. Her soft hand, extra warm from the coffee cup, gripped his. Harlequin promises Heartwarming and Virginia McCullough delivers! It was so refreshing to read a story grounded in reality—believable, likable characters fraught with contemporary issues of single motherhood, shared custody, aging parents, family businesses, moving to a new town and reinventing oneself. And all set in a landscape so familiar to me. And open and willing to try again at love. I really got lost in this one and you will, too. Virginia McCullough has done it again! What a great curly up and read book, whether a rainy day, or at the beach. The story has some very interesting twists, especially at the end! I truly enjoyed reading this book and recommend Virginia's series books to many reading ages. 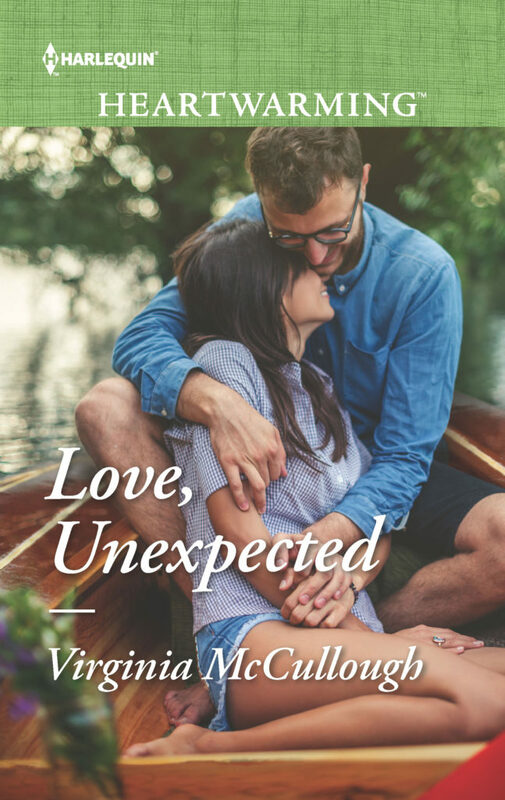 There’s a lot to like in this sweet romance by Virginia McCullough, and I thoroughly enjoyed the story of Andi and Zeke in Love, Unexpected. The beautiful setting of Wisconsin’s Two Moon Bay community is beautifully conveyed, and I especially liked how characters from two previous books, Miles/Lark and Jarrod/Dawn, are woven into this story, making me eager to read them also.